I’m not usually a “party-dress” kind of gal, but this one has me swooning. I love simple color palettes and silhouettes that I can change and update as my mood strikes, and this is the perfect blank canvas. (That is probably a credit to the “get the most for your money” voice inside me). 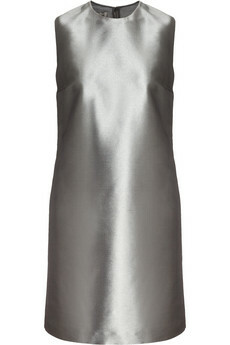 Anyway, love this Calvin Klein Collection number… Stay tuned for a post on different ways I would style it!